The 3-star Tras Mutiara Hotel Bentong offers comfort and convenience whether you're on business or holiday in Bentong. The hotel offers a wide range of amenities and perks to ensure you have a great time. Facilities like meeting facilities, car park, free Wi-Fi in all rooms, safety deposit boxes, Wi-Fi in public areas are readily available for you to enjoy. Internet access – wireless (complimentary), complimentary bottled water, satellite/cable TV, desk, television LCD/plasma screen can be found in selected guestrooms. The hotel offers various recreational opportunities. 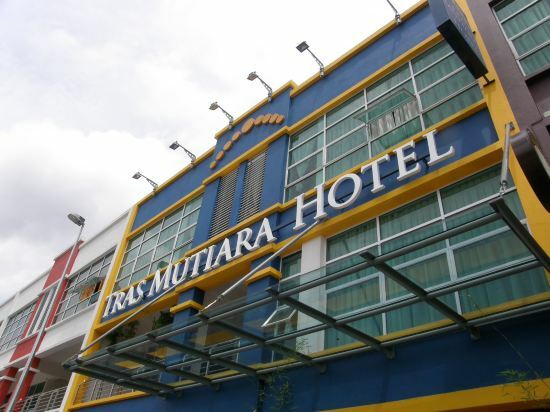 A welcoming atmosphere and excellent service are what you can expect during your stay at Tras Mutiara Hotel Bentong. Property Location With a stay at GOLDEN PEAK INN in Bentong, you＇ll be within the region of Genting Theme Park and Genting Highlands. This hotel is within the region of Snow World and Arena of Stars. Rooms Make yourself at home in one of the 34 air-conditioned rooms featuring flat-screen televisions. Complimentary wireless Internet access keeps you connected, and cable programming is available for your entertainment. Private bathrooms with showers feature complimentary toiletries and hair dryers. Conveniences include desks and electric kettles, and housekeeping is provided daily. Business, Other Amenities Featured amenities include a 24-hour front desk and luggage storage. 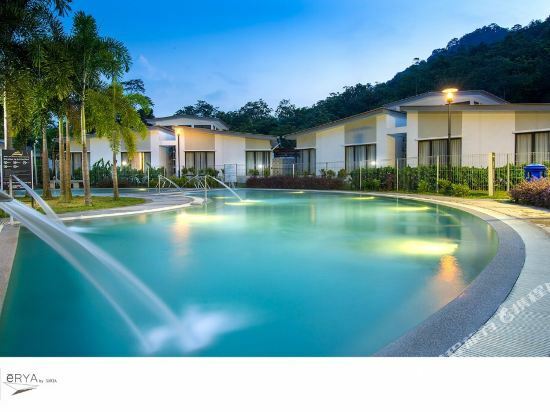 Erya by Suria Hot Spring Bentong central located at Bentong area. Hotel is surrounded by mother nature environment thus made an ideal place of stay for leisure travelers. Hotel require 90-minute drive away from Kuala Lumpur International Airport and 48-minute away from KL Sentral Railway Station. Hotel offers wide range of services and facilities to ensure guest have a pleasant stay. With it nature environment, it made hotel one of the ideal place of stay for both business and leisure travelers in Bentong area. The EV World Hotel Bentong guarantees guests a pleasant stay whether in Bentong for business or pleasure. From here, guests can enjoy easy access to all that the lively city has to offer. With its convenient location, the hotel offers easy access to the city's must-see destinations. 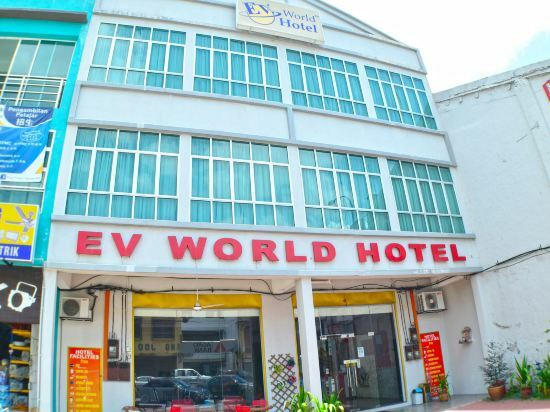 EV World Hotel Bentong also offers many facilities to enrich your stay in Bentong. The hotel provides express check-in/check-out, family room, business center, shared lounge/TV area, 24-hour front desk to ensure our guests the greatest comfort. 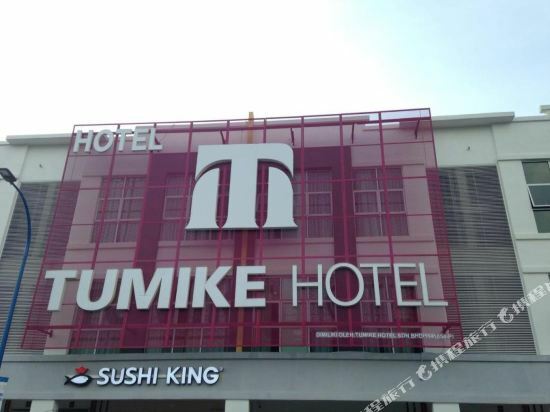 Tumike Hotel is conveniently located in the popular Bentong Town area. The hotel offers a wide range of amenities and perks to ensure you have a great time. Service-minded staff will welcome and guide you at the Tumike Hotel. Guestrooms are fitted with all the amenities you need for a good night's sleep. In some of the rooms, guests can find complimentary tea, towels, clothes rack, complimentary instant coffee, television LCD/plasma screen. The hotel offers various recreational opportunities. Discover all Bentong has to offer by making Tumike Hotel your base. The Waterway Villa Bukit Tinggi centrally located at city centre area. Hotel offers strategic location and easy access to the lively city has to offer. Hotel require 105-minute drive away from Kuala Lumpur International Airport. Hotel offers wide range of services and facilities to ensure guest have a pleasant stay. 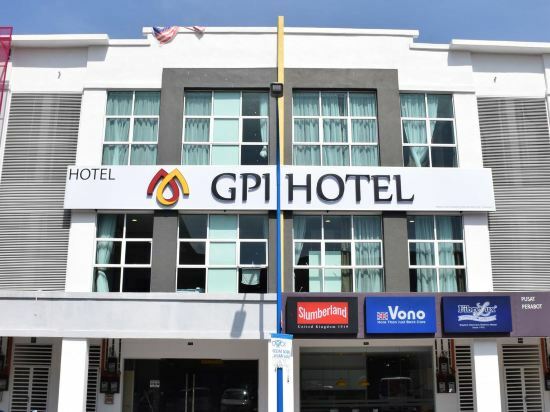 With its strategic location and convenient accessibility, it made hotel one ideal place of stay for both business and leisure travelers in Bentong area. There are many discounted hotels on Trip.com. On Trip.com, it's easy to search for hotels in Bentong. You can plan a day tour in Bentong. Bentong is not a big city. When traveling here, you can choose to stay in hotels around the city center. Though there is no civilian airport, it's still easy to take a bus or train to reach Bentong. Visitors often choose to travel to Bentong by bus. There are not many hotels in Bentong. Guests are advised to book in advance. The local average price is 59 USD per night. There are a variety of hotels to meet the needs of different types of travelers. There are 2 five-star hotels in Bentong at an average price of 57 USD per night. There are 4 three-star hotels in Bentong at an average price of 44 USD per night. There are 1 two-star hotels in Bentong at an average price of 19 USD per night. Unique local hotels in Bentong provide guests a unique and fresh feeling. 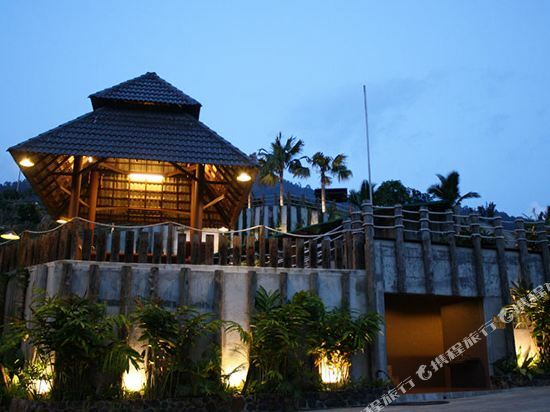 A popular hotel in Bentong, D'Villa is also one of the highest rated. If you're still unsure, Trip.com recommends Maison Mura Uno @ Selesa Hillhome. The most famous attractions locally are Jimmy's Durian Orchard, Japanese Villacg, Colmar Tropicale. Bentong hotel information & deal: Check out room rates, photos, a map and reviews of hotels in Bentong and find the best deals on Bentong hotels. Trip.com offers big savings on online reservations for Bentong accommodation. Book Bentong vacation packages and Bentong tours with huge discounts on Trip.com!